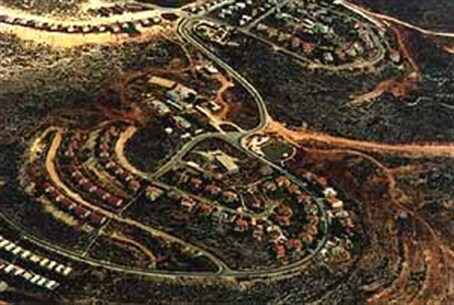 Israel's government has approved 119 new homes for the community of Shilo - giving the community a 60% growth forecast. Peace Now fumes. Israel has approved construction of over 100 homes in the Samaria community of Shilo. Shilo currently has 195 permanent homes and a number of caravans. The new construction will increase Shilo's size by roughly 60%. More than 310,000 Israelis live in Judea and Samaria with an annual growth rate topping 10%. The radical left Peace Now organization - which receives 34% of its funds from foreign sources - decried the move saying it would bring "fresh international condemnation." Hagit Ofran of the radical leftist Peace Now organization said the group only learned the new units were officially approved after it petitioned Israel's Supreme Court in March, asking construction of an initial 50 housing units be stopped. Instead of succeeding in halting construction, however, Peace Now received a formal government response saying the building was approved. "In reply... the Defense Ministry informed us that it had last month approved a plan to build 119 housing units, including the 50 already under construction,” Ofran told AFP. Akiva Sylvetsky, Attorney for the Binyamin Regional Council, said that every time Peace Now and other left wing organizations petition to halt or destroy homes, the state is forced to check their status and realizes that they should have been authorized. If the Council for Judea and Samaria requested the authorization directly, he continued, they would probably be ignored, so that the leftist organizations are really helping the settlement movement. A Defense Ministry spokesman told AFP the construction licenses had been given retroactively for "units already under construction," while those still in the planning stage would require separate permits in order for work to begin. The approval reportedly comes as a part of a government pledge to speed up construction efforts in Judea, Samaria, and eastern Jerusalem last month.